Join us for a Lunch & Learn! 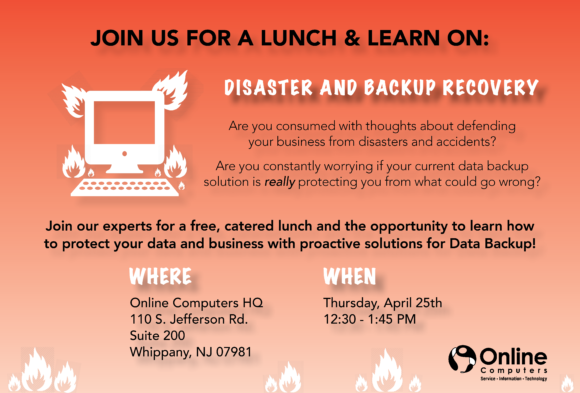 Join Online Computers CEO and Amazon Bestselling Author, Carl Scalzo, for an April Lunch & Learn: Disaster and Backup Recovery! Are you consumed with thoughts about defending your business from disasters and accidents? 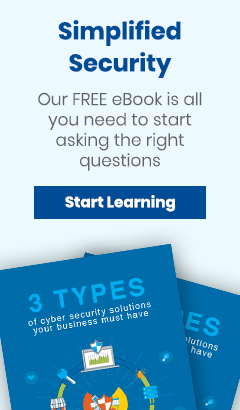 Are you constantly worrying if your current data backup solution is really protecting you from what could go wrong? 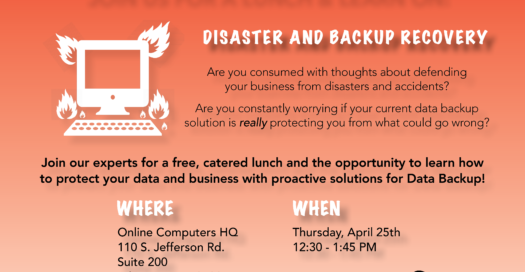 Join our experts for a free, catered lunch and the opportunity to learn how to protect your data and business! We will go over proactive solution for Data Backup which will allow you to stop worrying and start focusing on running your business!